A chalet situated on a 8000+sf level lot in White Gold. The ideal location for your family! Close to Lost Lake, Trails, Village, lifts and Park. This solid chalet is 2x6 construction with many windows and skylights for natural sunlight. The addition was built in 1995 and kitchen was updated in 1996. 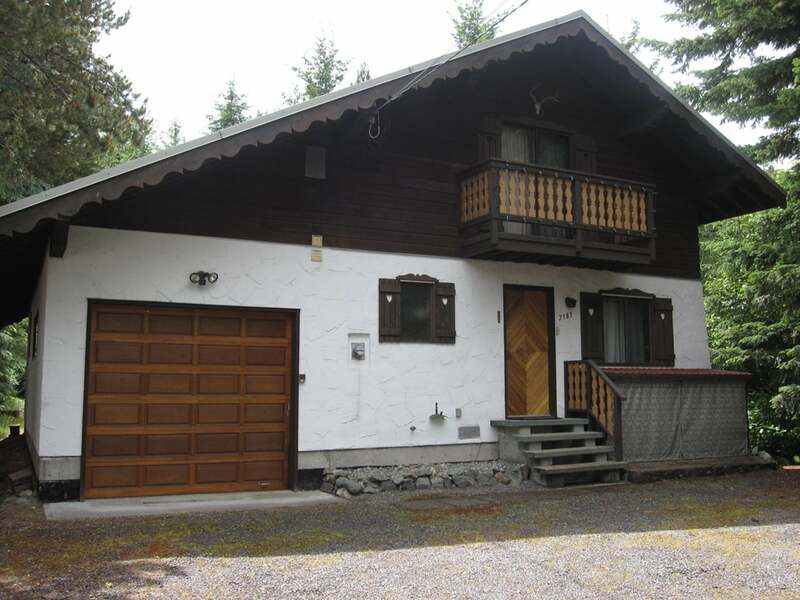 This beautiful 3 bedroom plus private office or family room/3 bath chalet features a spacious master bedroom and Jetted tub in master bathroom. The Southern exposed yard is perfect for summer entertainment including an outdoor BBQ gas hookup on the deck. Additional features include a single garage, lots of storage, 3 decks, metal roof, garden shed and much more. Furniture negotiable. All meas approx and to be verified by buyer.